If the New Woman was able to demonstrate an adult awareness of the world recognizing it as well as her own imperfections without lapsing into self-indulgence but instead exercising some control over her own life, then Sue falls short by almost every measurement. Her responses to adults demonstrate insensitivity or unawareness but at least the consequences are not tragic because she has the capacity to reflect on her actions and try to make amends. After curtly informing Jude that he cannot come to visit, as she is now the wife of Phillotson, she writes a note to him that she had been horrid to him “and that she despised herself for having been so conventional.” At the same time, her ability to reflect also betrays a need for self-reproach. When she leaves her husband with his generous approval and returns to Jude, she never considers for a moment how her decision might affect Phillotson’s teaching position even though she is acutely aware of how scandals and laws can affect her. She then unsettles Jude by informing him that they will not be lovers, but she recognizes that although she may hold unconventional opinions she does not have the courage to act upon them. Near the end of the novel, Sue later recognizes and confesses to Jude her penchant for teasing a man. She admits she began the relationship in the “selfish and cruel wish” to make his heart ache for her: "I did not exactly flirt with you; but that inborn craving which undermines some women’s morals almost more than unbridled passion—the craving to attract and captivate, regardless to the injury it may do to the man—was in me; and when I caught you I was frightened." Oscillating between wretchedness and defiance, she slips into self-disparagement with “I know I am a poor miserable creature” and “I am very bad and unprincipled” and from there ultimately into infantilism. “And you shall kiss men just once there—not very long. She put the tip of her finger gingerly to her cheek; and he did as commanded.” Instead of anticipating an adult sexual relationship, he is confronted with a petulant, little girl. The precarious balance between intellect and sexual reserve is threatened, but not shattered. Not so when circumstances force her to respond to a child’s emotional needs when social pressures, an unmarried couple with three children facing poverty and discrimination, were contributing factors pushing her to the end of her tether. The most vivid demonstration of her depressed emotional state occurs in her responses to the emotionally starved son of Jude and Arabella who was sent from Australia to live with them. Compared by the narrator to an “enslaved and dwarfed Divinity,” the boy looked preternaturally aged, likely a victim of the genetic disease, progeria. He was given the sobriquet Father Time, a nickname and an appearance that have the whiff of the Gothic. Unable to understand her stepson’s despondency, who had been neglected and unloved much like herself, and uncomfortable with the knowledge that Jude fathered him, she is incapable of recognizing his depression. 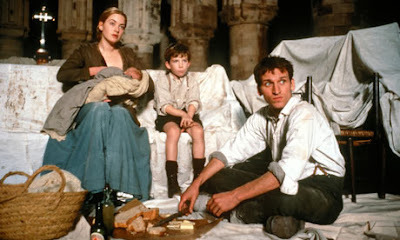 When the family is encountering difficulty finding a place to live, it is partly because Jude and Sue are not married and, partly as the little boy perceives it is the very existence of the children. 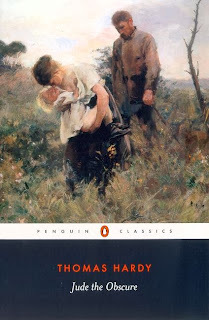 His sombre disposition prompts him to wonder whether “It would be better to be out of this world than in it, wouldn’t it?” Without appreciating the depth of his distress, Sue communicates not only her own despair, but exacerbates the child’s innate melancholy temperament with her feeble response; “It would almost dear.” When he learns another child is on the way, his desperation becomes frantic. When he utters his chilling threat, “if we children was gone, there’d be no trouble at all,” she misses the opportunity to reassure him that he is wanted and loved, otherwise they would not have adopted him, and that the family’s material circumstances will improve. Nor can she explain either out of Victorian prudery or “false delicacy,” why another child is on the way. Because of her ambivalence toward sexuality and procreation, she can only respond, “don’t think that dear.” Because Sue’s own despondency mirrors that of Father Time, she perceives him as an extension of herself. By unconsciously communicating to him that unwanted children are responsible for their parents suffering, her lame response directly contributes to the boy’s violent deeds. One thing troubled him more than any other; that Sue and himself had mentally traveled in opposite directions since the tragedy: events that enlarged his own view of life, laws, customs, and dogmas, had not operated in the same manner on Sue’s. She was no longer the same as in the independent days, when her intellect played like lambent lightening over conventions and formalities which he at that time respected, though he did not know. Unfortunately, he could never fathom that her feminist critique of society has never been anchored to her own reality but instead has assumed a dilettante gloss. Instead of fortifying her inner self and providing her with a set of values by which to navigate the vicissitudes of life, it was used as a vehicle for defending herself and as a weapon to hurl at others to keep them at an emotional distance. When tragedy occurs, she has no inner resources to fall back upon except a lacerating self-impalement that expresses itself in repressive religious asceticism that craves only punishment from a vindictive God, a reflection of her bad father, and a repudiation of “the old logic” as “error.” The sin-obsessed medievalists that she so contemptuously mocked, she has fully incarnated in herself. In her delusional state, she views Father Time as a divine agent of retribution and the fate of her innocent children serving a necessary purpose. Her infanticidal fantasies, which her stepson had acted upon, become explicit when she exults, “My children…were sin-begotten. They were sacrificed to teach me how to live!—their death was the first stage of my purification.” In her complicity in the murders, she has repeated on a far more terrifying level, her own abandonment by her parents. Now the distraught child seeks to merge with the father and requests to sleep with him, an incestuous act that would be the most deserving of punishments. In her madness, Sue reveals the shadow side of the prescribed Victorian notion of ideal womanhood. Steeped in self-loathing, she is willing to adorn only sackcloth for her wedding after she rips to shreds a pretty outfit. She has become like one of the ascetic monks Jude read about when he was studying the history of the Church fathers. There is a sad irony in what she quotes to Phillotson from Mill’s On Liberty : she or he “who lets the world or his own portion of it, choose his plan of life for him, has no need of any faculty than the ape-like one of imitation.” In view of what Mill wrote in The Subjection of Women, it is deeply ironical what she says to Jude, “we ought to be sacrificing ourselves on the altar of duty.” Women are “taught that they were born and created for self-sacrifice. Equality of rights would abate the exaggerated self-abnegation, which is the present artificial ideal of the feminine character.” Sue’s mournful plaint that “we must conform” is an unequivocal repudiation of her former liberal impulses that she now dismisses as “self–delight” and indulgence.” In contrast to the Victorian doctors who probably would have approved her cleaving sense of duty, Mill would argue that her new-found religiosity was a perverse cultural construct that denied her humanity. Similarly, Hardy does not present Sue’s atavistic reversal to conventional norms of the typical woman, “who never instigates, only responds” as a concession to those who used the arguments of evolution to resist female emancipation. Hardy is clearly not interested in using her nervous collapse to render a moral judgment on a certain type of woman who has challenged convention, but to show that her aberrant behavior with its desire for self-punishment was an advanced sign of her illness. There is some truth in the contention that Sue’s submission to the dictates of her nerves was designed to demonstrate Hardy’s conviction about the “powerlessness of ideas in the stranglehold of biology.” Yet her psychological instability was instigated as much by a merciless, tyrannical conscience than late Victorian scientific notions about her limited endowment of inherited resources and the contradiction inherent in arrested development and an overly refined mind. Her willingness to perform her marital duty with Phillotson may be read as a testament to the harmful effects of late conventional morality, but her guilt, self-contempt and need for self-punishment are psychological conditions that would have been present in a more open time. Losing Sue was equally devastating for Jude. His subsequent actions to remarry Arabella, to descend into drink and to commit suicide paralleled the downward trajectory of Sue. Both were destroyed by the conventions of their time and their own psychological makeup. But there is one difference. Jude had long aspired to receive a university degree and pursue a calling that suited his temperament. Working as a stonemason was to be temporary but circumstances destroyed his dream. He did not have what he called the “stoutness” to work in inclement weather and he became ill, a condition that only reinforced his despondency at the end. There were not the resources available that might have pulled them both back from the abyss. Would it be different today?